We want to make sure you saw this big news! On July 18, 2018, the Pennsylvania Supreme Court voted 7-0 to repeal Act 80 which eliminated General Assistance in 2012. This cash assistance program provides a minimal income support for individuals with serious disabilities, people fleeing domestic violence, and individuals in active drug treatment for limited periods of time -- which includes many in the communities that we all serve. 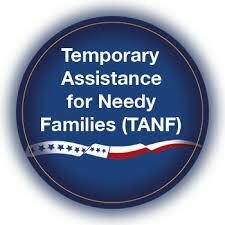 The Pennsylvania Department of Human Services issued a memo stating that General Assistance applications are being accepted as of Monday, August 13. This victory is the result of your advocacy! Six years ago, Gov. Corbett proposed eliminating Pennsylvania's General Assistance program, the sole source of income for 70,000 people with disabilities. Although thousands of people, including many from your organizations, rallied against the cuts, the bill, Act 80, passed at the last minute... and by just one vote. On behalf of a few strong women who had lost their GA plus half a dozen community organizations, Community Legal Services filed a lawsuit, along with Disability Rights Pennsylvania and several private attorneys. In July, the Pennsylvania State Supreme Court held unanimously that we were right and the statute was unconstitutional. Thanks to our partners at Community Legal Services for their leadership in working to restore this vital program and to all of you for standing up for this vital program. Tell people to go apply NOW – instructions are located here: www.dhs.pa.gov/citizens/cashassistance/generalassistance and www.clsphila.org/ga. Checks will be issued sometime in September and will be prorated based on when the application is complete so encourage as many people to apply as soon as possible. Community Legal Services has posted information about who is eligible for GA and what documents individuals will need to provide when they apply. CLS’s website also has more information about the lawsuit and links to some of the legal documents. The web page is at www.clsphila.org/GA. There is also a one-page flyer regarding General Assistance at the bottom of the webpage that that you can print and share with people in your organization. We suggest bringing that flyer with you to the welfare office.